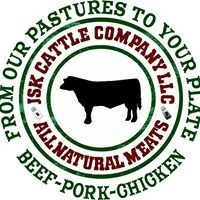 Browse through our ever growing selection of pasture-raised products. Add the products you like to your order. (Deals are best when you buy in bulk). Pickup Locations are simply places where we meet you with your order. Common locations are home driveways or parking lots. Each location is organized by a volunteer Location Leader who helps to facilitate each delivery. We encourage you to bring a copy of your order's confirmation email or have it accessible on your phone. This can help speed up the process. You can simply login anytime before your upcoming deadline and add to an existing order. In order to help cover fuel and labor cost all orders incur a flat $4.95 handling charge. There are no fees on orders picked up at our farm in Millbrook, NY. Can a friend pick-up my order? Most order deadlines are 5 days prior to the delivery date. Can my Location Leader hold my order? This is strongly discouraged because of the extra burden that it adds for our volunteer Location Leaders.